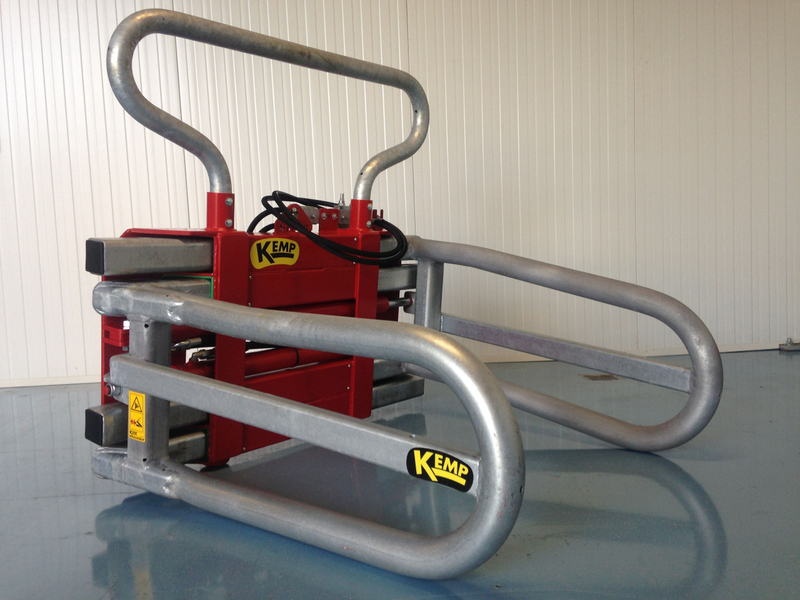 The bale clamps from Kemp are made for moving and picking up bales. 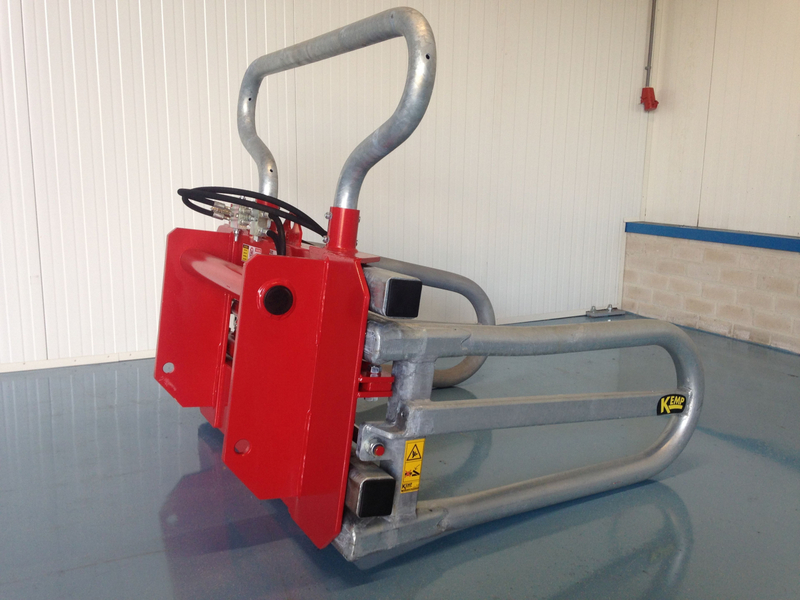 These bale clamps are ideal for picking up rectangular bales, but it is also possible to transport round bales. The bale grabbers have two sliding tubes per clamping arm, so four in total. These four sliding tubes ensure that the force is distributed over the entire height of the clamp. 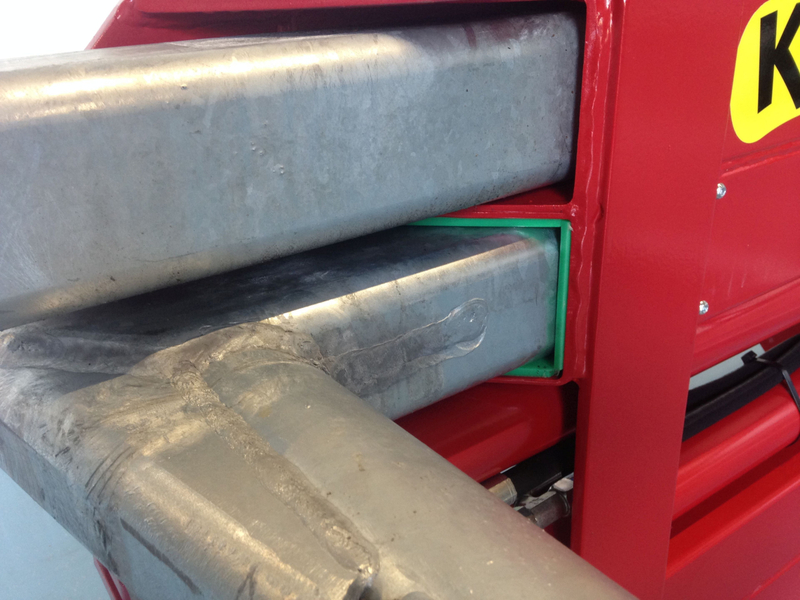 This allows us to keep the clamps slim/narrow, which allows passage between close-lying bales. The clamping arms are completely galvanized, which makes the steel no longer sensitive to the effects of the weather or dirt. The parts that aren’t galvanized, are treated with two components primer/coating. 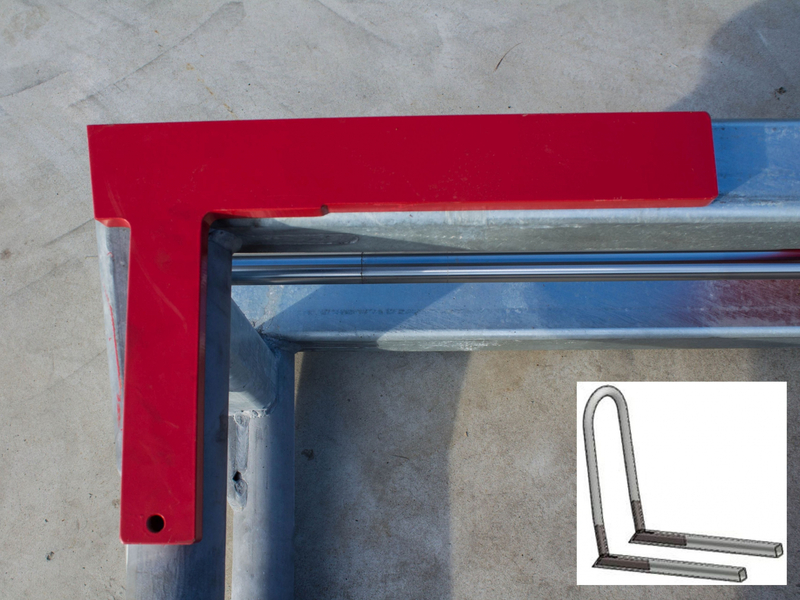 The heavy bale clamp is suitable for wheel loaders, telehandlers and tractors from 120 hp. The BKZ has many similarities with the BKC, but a number of components are heavier. The reinforcement strip in the corners of the clamping arms is 20 mm thick, instead of 15 mm. The clamp tubes are bent from one tube of 76x7.1 mm, so the tube has no weak points. Plastic guidance is mounted in the sliding tubes, which results in minimal wear and a maintenance-free machine. The height of the clamping arms are 480 mm, because of this height the force on the bale can be well distributed. The four sliding tubes are made of 8 mm thick steel. The weight of the BKZ is ± 420 kg. 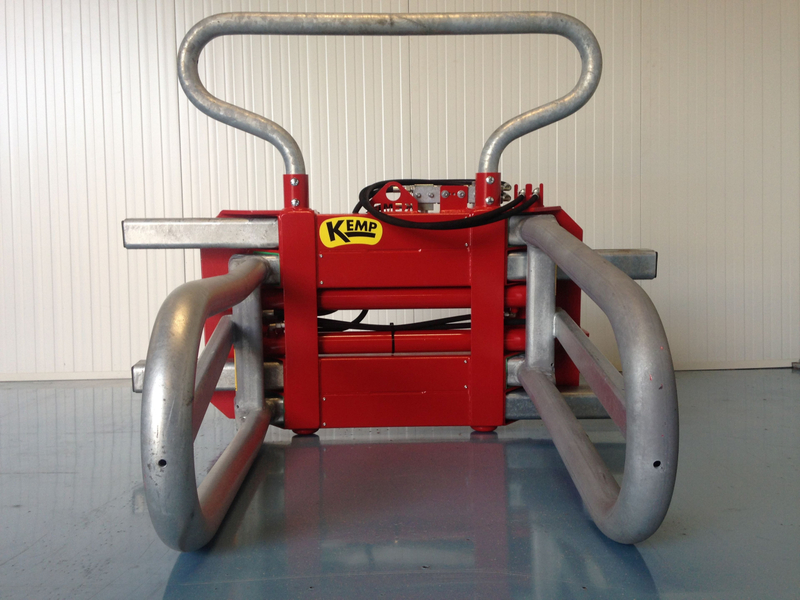 The BKZ is standard equipped with a controlled non-return valve and a removable rack for a 2nd bale. Because of this rack, two bales can be transported at the same time. The BKZ is available in two versions, namely the BKZ2.300 and the BKZ2.600. The BKS2.300 has a clamping range of 700 - 2,300 mm and the BKS2.600 of 800 - 2,600 mm. 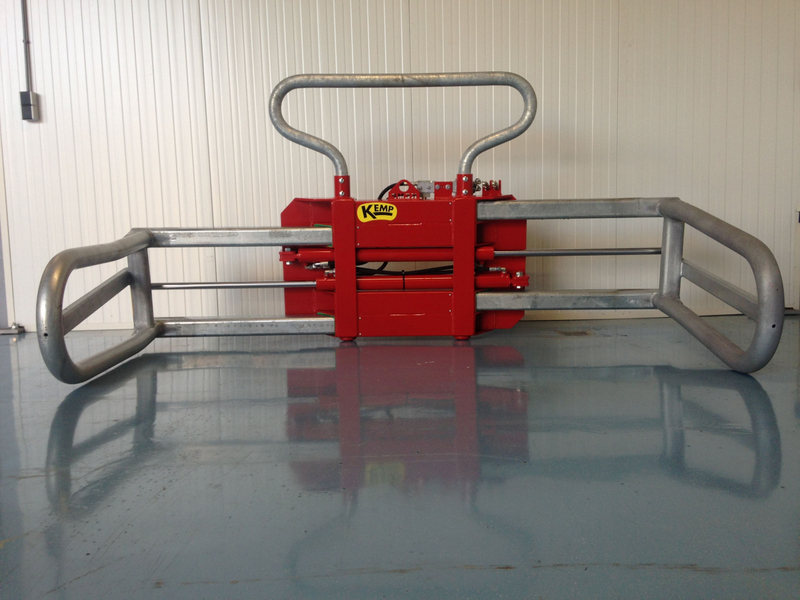 The heavy bale clamp is available with the attachments that belong to your vehicle (for the attachment parts, see the document: Kemp attachment parts). Pressure relief valve: At a working pressure above 225 bar, then install an pressure relief valve. 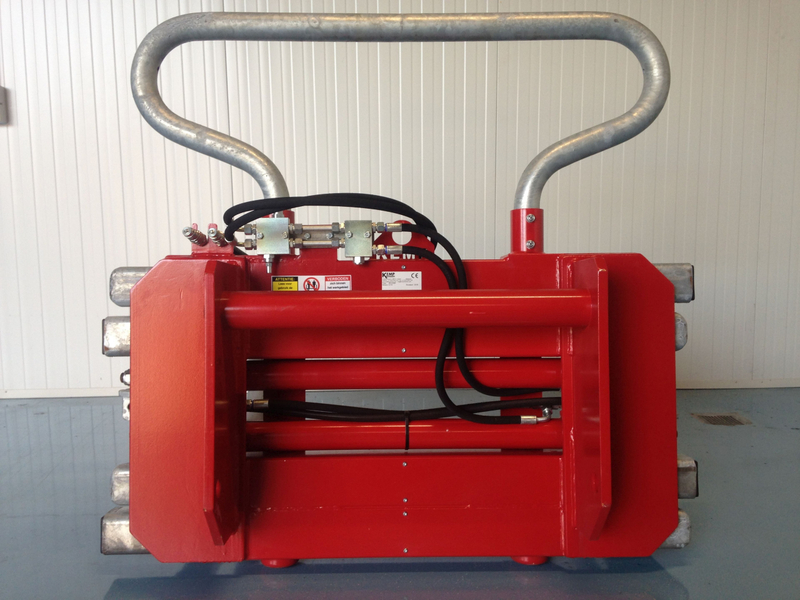 Removable mounting parts: It is possible to order the attachments not welded but mounted with bolts and nuts. This allows you to easily replace the attachments when necessary. Bale spear: This ball spear allows you to remove the foil / rope & net from the bale. For more information look at the product page of the ball spear.